Free high resolution photo of snow on pink crabapple blossoms. 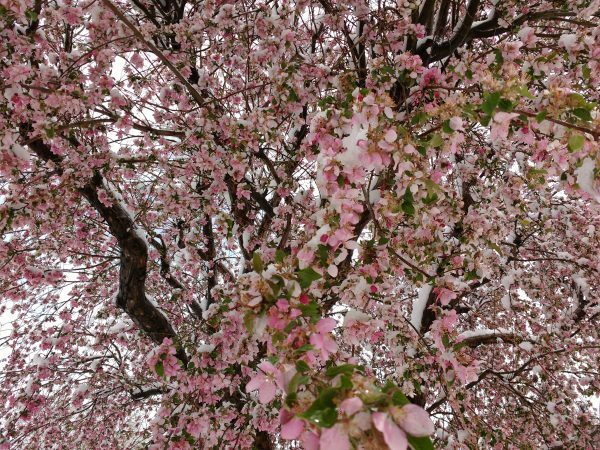 This picture shows a crabapple tree in full bloom covered with thick snow from a spring storm. Free photo for any use.